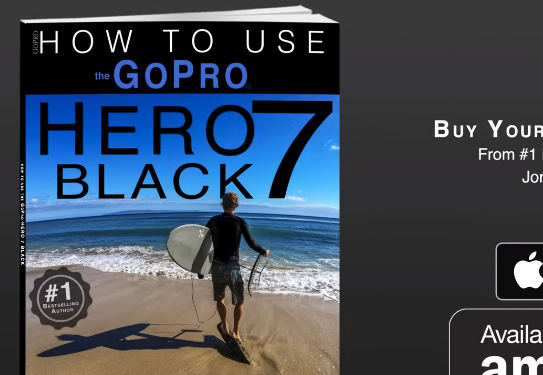 GoPro Forum, Classifieds and Support > GoPro Hero Cameras > Hero 7 Black/Silver/White > No instructions..? OK, so is it just me, or does it seem a little odd that a $400 camera does not come with any manual, etc? Hero 7 arrived today. &#x1f601;. It comes with a placard that has some vague pictures suggesting how to put the battery in. Then it has a fairly thick booklet that has 3 pages in English, talking about general warnings, like don't eat the battery, etc. The other 30 pages are other languages and what looks like same warnings. No instructions anywhere about how to navigate the operation of the camera. I have not used a GP since the Hero 2, so this is a HUGE leap. Thanks for the link, Fish. Wow... I just came to the desktop version of the forum, much better user experience than the mobile app. Must remain here, and stay off phone. Ion noted to the VS-Team the mobile app stock is not seen. I'm sure you have figured out since the Hero 2 as well, that these electronics and the features that they come with change as fast as a firmware upgrade. So the print version is many times outdated by the time it ships, let alone gets into customer hands. Having a download allows the MFG to update with each firmware release as it may have added a new feature, interface, or how the features are used. Coming from an older generation, the younger generations do not care for paper and will throw it away with the packaging anyway. I have moved to that way of life as well. I will search for a manual or directions first before going through empty boxes as it is simply more convenient. On my workbench in the garage, you will find an iPad Pro or Laptop setup more times than an oil covered service manual as it is just more convenient. To take this one step further, I have found working at Microsoft that much of the documentation will list credits to the folks that wrote it or developed the application. This allows us to go right to the source with an IM or Email the moment we find an issue, or want to question what was printed with instant response. It truly does allow MFG's to be agile with their directions, firmware and software. Same here. Even when a paper manual is included, I usually go online since it will likely be more up to date. In my mind, a product that really needs a manual is poorly designed as most things should be intuitive. Especially software. You should be able to navigate the menus and figure out what the selections and values mean.